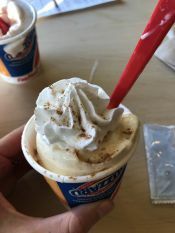 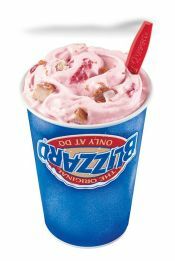 Want to review your favourite DQ Blizzards, see what's trending in the Blizzard Community, and compare tasting notes with other blizzard aficionados? 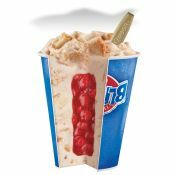 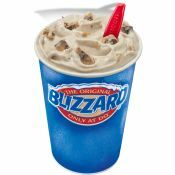 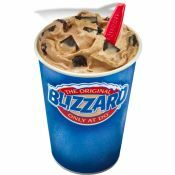 Sign up to add comments, log your blizzard experiences and to keep track of your most loved DQ Blizzards! 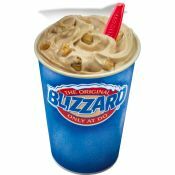 These are the best of the best. 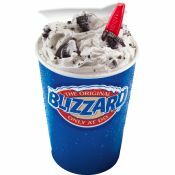 You can view all of the blizzards on the listings page. 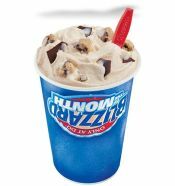 Peanut butter topping, chocolate chip cookie dough and choco chunks blended with creamy vanilla soft serve. 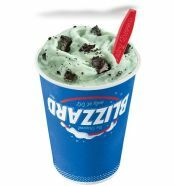 Oreo cookies and pop rocks(?)... 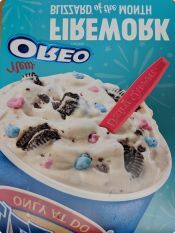 Maybe it's just candy and oreo pieces.